Many studies show how companies that invest in energy efficiency and sustainability deliver better financial performance on the long run than companies that do not see the opportunity in doing it. The Paris Agreement on climate change requires a new approach to the use of all the resources, by redesigning products and services, rethinking the supply and the delivery chains, and finding out new business models. 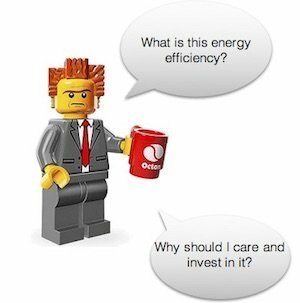 Energy management systems (EnMS, ISO 50001) are a good tool to start developing a new approach on the use of energy and understanding how energy efficiency can improve the core business and the competitiveness. Among its key points the need to involve all the company’s functions on energy management, the draft of a detailed action plan, and the link with a monitoring system that allows to better understand how the processes work and where optimisations are available. The EU-MERCI project is going to publish a platform with all the energy efficiency good practices listed by NACE code and available for each step of the main industrial processes. It could be an useful tool for most industrial companies. In the webinar many examples were shown by the other speakers and are available in the proceedings at www.eumerci.eu, together with the video recording.